Al-Shabaka Policy Advisor Grace Said is a long-time advocate of Palestinian human rights. She is a member of the Steering Committee of Friends of Sabeel, North America and treasurer of the Washington Interfaith Alliance for Middle East Peace. She has in the past served on the boards of Trans-Arab Research Institute and the Arab-American University Graduates. In 2009 she was a co-founder of Al-Shabaka and also organized a major Sabeel conference in Washington, DC. 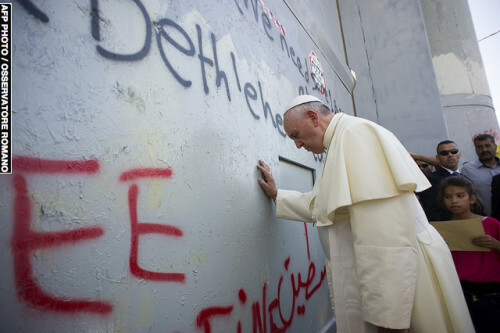 Pope Francis has attracted attention for his support of causes the establishment ignores, including the rights of the Palestinian people. And yet the US Catholic Church lags behind other American churches. Al-Shabaka’s Grace Said and Joanna Springer take advantage of the Pope’s US trip to challenge his church to go further.